The Thanksgiving long weekend was a nice quiet one for us. We didn’t do the bird but we did eat a lot of appetizers as our feast. Most of them were from the freezer section of the supermarket, but we did make one from scratch. 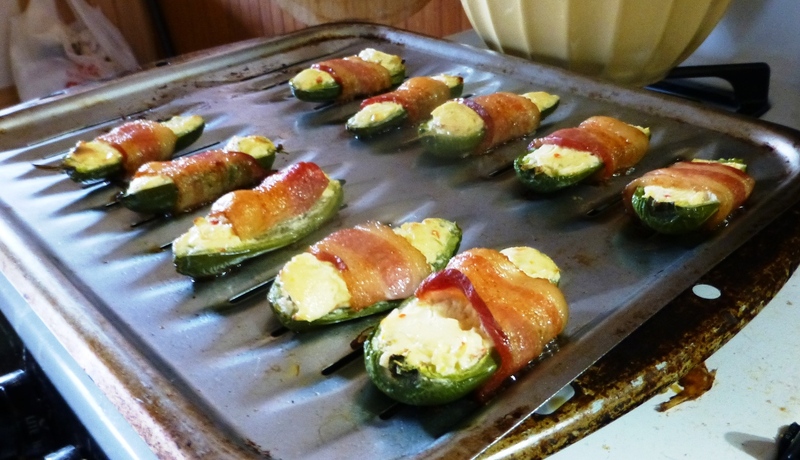 Fresh jalapenos filled with garden vegetable cream cheese, wrapped in bacon, and then baked. Most excellent! I’ll get to the recipe below. I just cobbled together what I read from the other thousand recipes for the same thing on the ‘net. We have been trying some new wines, beers and spirits. Franzia Dark Red Blend – the king of box wine, Franzia, has made a dark red blend for their premium line. It’s a very nice blend, not too tannic or too soft, and for around $20 for 5 liters, its worth a look. In addition to drinking it straight, we happened to mix it with Cran-Tangerine juice cocktail and it ended up tasting like a pretty darn good sangria (ages ago I went to Spain and had quite a bit there). I was afraid the cranberry would bring up the bitterness but it didn’t, standing in for other fruit flavors, and the wine enhanced the tangerine very well. I was surprised since the juice itself was fairly bland. Genesee Salted Carmel Chocolate Porter – This is a premium beer from our favorite Genesee Brewing Company, home of the cream ale we drink. When we visited the brewery about a year ago, we toured their pilot batch brewery, and this is one that was run up there. It’s in bigger production but its still pretty small batch. It’s not a cheap beer, coming in just under $60 a case, but since we drink a lot of $14/a 30 pack Genny Cream Ale, we find it balances out 🙂 . It is a dark cola in color, with a fantastic caramel scent and chocolate caramel taste. Not too sweet at all, and I have no idea how they got that hint of salt in there so nicely. Black Velvet Toasted Carmel whisky – This is a very smooth blended whisky with an excellent caramel flavoring. It’s very good neat. However, we poured it into eggnog. That was wonderful…and dangerous. It’s so smooth, you don’t get much of an alcohol burn even if you put in probably more than you should. Here’s our recipe for the jalapenos. Preheat oven to 385 degrees Fahrenheit. Cut peppers in half so you get to complete “boats”. Remove seeds and membranes (leave more or less if you like heat). A grapefruit spoon is perfect for doing this. Fill with cheese. Wrap with a third of a slice of bacon. You can use a toothpick to anchor or do like we did and just put the seam on the bottom on our broiler pan since it has those convenient divots. It’s a shame what a lot of Americans are advocating now, that we ignore the desperate and do exactly what the Muslim fundamentalists want us to do, be fearful, selfish twits. It is no surprise that it is the Republicans and Tea Party (haven’t heard that term in a while, eh?) who are cowards and who want to use the actions of Muslim extremists to feed their xenophobia of anyone who isn’t like them. They want to shut the door, not just be as cautious as we have always been with refugees. It’s even worse when they insist that perhaps they would allow just the Christians to come in. Of course these idiots likely have no idea that most Christians in Syria are Orthodox and not the right kind of Christian for your average TrueChristian Jesus loves Guns ‘Merican. I will admit, they have done a great job of showing the impotence of their god by pointing out it has done nothing. My dear spouse has pointed out that this god could have split the Mediterranean and allow the refugees to walk across or they could have built an ark, rather than depend on sinking boats where they die. do not know the source. wish I did. We are a country built on many of those who were driven from their homelands. Those coming here unfortunately harmed those who homeland this was dreadfully and we need to help our native peoples as much as we help others. We’re also a country that has resisted in becoming a theocracy run by Christian extremists, who want the exact same thing as ISIL does, to rule over others while they hope for the end of the world. Death cults one and all. Once upon a time, many Americans also wanted to keep out Jews when they were running for their lives. So much for the “greatest generation”. It’s time to not make that mistake again. This time of year is often used to celebrate what we have benefited from. We should do what we can to help those who have lost everything. Addendum: Here’s a bit of curious Christian history I stumbled upon when looking up Syrian Christians which show how the religion and its sects differ: Liturgy of Addai and Mari. Thank you for your recent correspondence regarding the Syrian refugee resettlement. I understand the fears of many in the wake of the attacks in Paris and Beirut, and this letter is meant to address many of those concerns, as well as explain the extensive vetting process utilized by the federal government before a refugee even enters the country and the limitations on any state’s ability to stop federal resettlement of refugees. We must not forget that those fleeing Syria – and other places in crisis – are families, elderly, and orphaned children seeking to escape a daily life that includes the same horrific violence that occurred in Paris. As governor of Pennsylvania, my first priority is protecting the commonwealth. I believe we can keep Pennsylvania safe while also ensuring that Pennsylvania stays true to its values and builds on its rich history of accepting immigrants and refugees from around the world. These two goals are not mutually exclusive. Our commonwealth can be a safe haven for refugees fleeing the humanitarian crises across the world, and, as we have for centuries, we must work with the federal government to make sure all proper safeguards are in place. 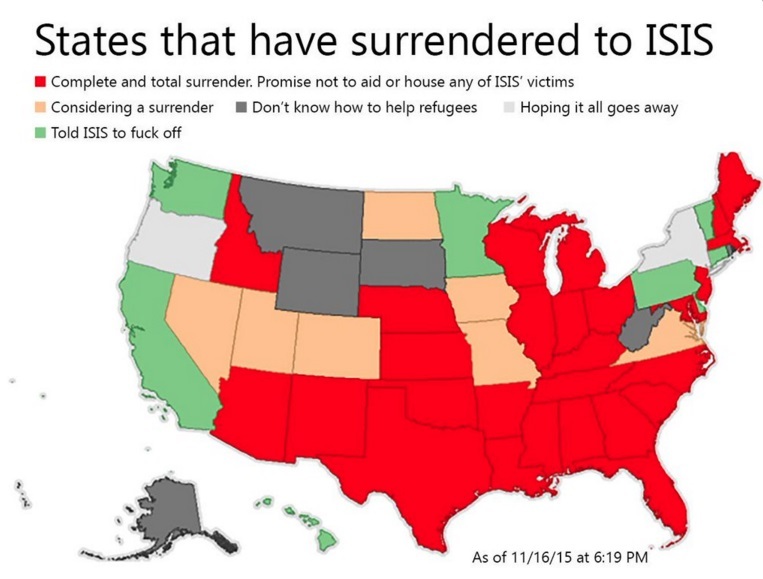 Despite the implication of some, states do not have the authority to refuse to accept refugees that are admitted by the federal government. The Refugee Act of 1980 authorizes the president to admit refugees who face persecution or a well-founded fear of persecution based on race, religion, nationality, membership in a particular social group, or political opinion. This Act also creates the Federal Refugee Resettlement Program to provide for the effective resettlement of refugees and to assist them to achieve economic self-sufficiency as quickly as possible after arrival in the United States. The resettlement process is federally-driven and federally-funded. To ensure the safety of the commonwealth, Pennsylvania will continue working with the federal government to make certain that all individuals have gone through the proper screening process, and we will encourage the federal government to continually improve and strengthen its process. I have further directed Pennsylvania’s Department of Human Services and Office of Homeland Security to review the federal government’s process and make any additional recommendations to strengthen these already extensive safeguards. To this end, the federal government has an extensive refugee screening and vetting process in place. The United Nations Office of the High Commissioner for Refugees receives applications from refugees and evaluates them for resettlement, based on vulnerability and other criteria. A Department of State Resettlement Support Center conducts pre-screening and then refers the case to United States Citizenship and Immigration Services for adjudication. The United States process of screening and vetting refugee applicants takes an average of 12 – 16 months. Refugees seeking to resettle in America are subject to the highest level of security checks, which includes an in-person interview, a full health and biometric screening, and the involvement from the National Counterterrorism Center, the FBI’s Terrorist Screening Center, the Department of Homeland Security, the Department of State, and the Department of Defense. A refugee applicant cannot be approved for travel to the United States until all of the required security checks have been completed and cleared. Once this process is complete, the refugee may travel to the United States for resettlement, and the federal government coordinates with state agencies and charitable organizations to assist with resettlement. The refugee must apply for Legal Permanent Resident status within one year of arriving in the United States. Pennsylvania has a rich history of opening its doors to those facing persecution and danger. William Penn founded our commonwealth on the principle of religious freedom, seeking to allow those in Europe to escape persecution. Since October 1, 2015, 275 refugees have settled in Pennsylvania from around the globe. From October 2014 to September 2015, Pennsylvania had 3,056 total refugees resettle from throughout the world. In the two years prior to that, more than 5,000 global refugees resettled in Pennsylvania. These were families from across the globe, and only a small percentage came from Syria. During past conflicts, the United States has accepted hundreds of thousands of refugees who were fleeing violence and persecution. Jewish refugees came to Pennsylvania from Germany and other European countries to escape the Nazi occupation and religious persecution. Following the Vietnam War, President Gerald Ford resettled 130,000 Vietnamese refugees. As millions in Syria face violence, persecution, and death, we should continue to help those who we can while taking care to protect our commonwealth and our country, just as we have done for hundreds of years. To reject only Syrian refugees could embolden the message of those who seek to inspire violence by saying that we, as Americans, do not have compassion or care for specific groups of people in the world facing religious persecution. My top priority is the protection of the commonwealth and the safety of our citizens. The Pennsylvania Emergency Management Agency, the Office of Homeland Security, the Pennsylvania National Guard, and Pennsylvania State Police continue to take extensive steps to prepare for emergencies and crises. The Pennsylvania Emergency Management Agency continually facilitates exercises to prepare for emergencies and stands ready to assist local emergency management agencies in times of need. The Office of Homeland Security routinely trains those in the public and private sector to prevent and prepare for emergency situations. The Pennsylvania State Police are constantly working with local law enforcement and federal authorities to ensure the availability of intelligence, personnel, and equipment to protect critical infrastructure and aid in the security of public events held throughout the commonwealth. At my direction, commonwealth agencies will continue to focus their efforts on preventing and preparing for terrorist and other large-scale crises. Pennsylvania will not seek to disrupt efforts to resettle refugees from humanitarian crises throughout the world, including Syria. To this end, I will work with state and national partners to ensure that the federal government takes every precaution to make sure refugees from Syria and elsewhere are properly screened prior to admittance to the United States. At the same time, I want to remain true to Pennsylvania’s long and noble tradition of being a welcoming place. The “war on Christmas” has arisen once again. One would think that the TrueChristians™ here in the States would just stop, because every year, there is nothing accomplished but making themselves look like complete idiots. Schadenfreude is always great when someone causes their own problems. 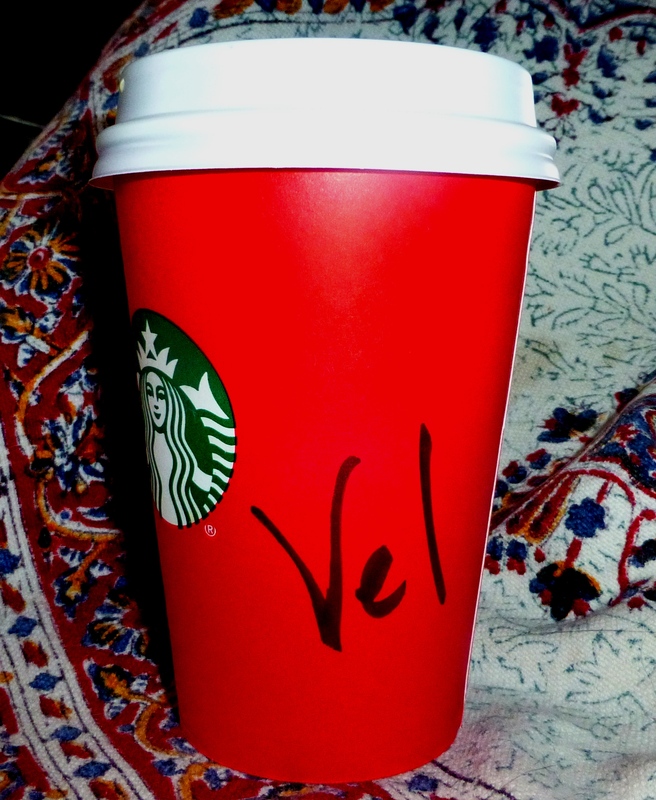 Happily many Christians have pointed out just how stupid this is, joining non-Christians in pointing out that Starbucks never had Christian symbols to “remove”, just the red and green (thanks to the mermaid) and the occasional reindeer or snowflake. The claims of TrueChristians™ always seem to revolve around utter ignorance and then, when caught in that ignorance, the continuation of demonstrated lies. The expected, including “wannabe-Hollywood-Square-occupant-right-beside-Charo- if-the-show-was-still-on” Bristol Palin, unsurprisingly, have hooked their wagon to this decrepit horse. This belies the claims of some other Christians who want to dismiss the war on Christmas, and this particular iteration, as only “ this whole thing was actually about one guy who makes his living creating outrageous content”, something patently untrue. The cries of persecution seem to be nothing more than a need of TrueChristians™ to convince themselves they are right in the second decade of the 21st century. They must tell themselves that the end times are coming soon SOON, and that any bizarre claim that they can gin up is offered as “evidence”. This is because they have nothing more concrete. Thousands of years of promises and nothing. Anything, no matter how pathetic, is a “sign” that the faithful are being martyred and the bible is true. It’s kinda hard to be a martyr in the USA. You know, with hundreds of Christian radio and tv stations, Christian bookstores, churches everywhere…. This desperation has done nothing more than make TrueChristians look truly stupid, and that wasn’t invented by the “left”. No, TrueChristians™ did it all on their own. They’ve created a problem that doesn’t exist and they devalue real persecution in their fantasies. Happy holidays to everyone, even those twits who would try to use the holidays to separate us from our humanity. If you want to make yourself miserable, be my guest. May all of you enjoy time with those you love or be content and comfy alone if you choose! BTW, Starbuck’s Chestnut Praline latte is pretty damn good. No, it’s not coffee exactly, but it sure is tasty candy. I also find the cup very pretty, a gentle ombre from dark red to bright, which you can’t see in the photo at all. Theists often claim that they see a “sign” from their god. These claims usually revolve around pareidolia, but occasionally there is a claim of a relic or divinely-touched item. 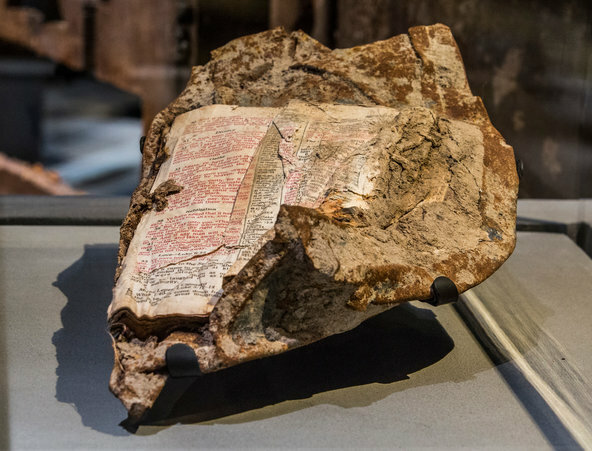 One of these claims is about bible pages on a piece of wreckage from the WTC terrorist disaster (unsurprisingly, the provenance of the item is very questionable). I found a blog where a pastor claimed that this item was evidence for the Christian god. Such claims about an item does help me pose the question: if this god can decoupage pages on a piece of wreckage, why didn’t it use its supposedly omnipotence and omniscience out of its supposed omnibenevolence to help the people who were hurt and died in the disaster? This question can be a part of the “problem of evil” but in this scenario there are definite claims of divine action, not just a philosophical argument. These claims by a theist add some meat to the thought problem of “Why is there evil in the world?” as the pastor says, when it also adds why does this god do nothing about it, except, perhaps, an item that is little different from what I made in bible school. If a figurative message in a bottle is all this god is capable of, that is one thing; gods are not always omni-max. The problem is that a god like this isn’t the god that most, if not all, Christians worship. In his post, this pastor is quite sure that his god directly applied these pages to the wreckage and that he knows that his god intends the pages as a message to humanity and that this could not be a coincidence or a hoax at all. I asked why this god couldn’t help the people who risked and lost their lives to rescue people or help those who chose to jump rather than burn. The resultant discussion was civil and interesting. It seems that it may be ended, and ended abruptly, but I am hopeful that Pastor Ashcraft might continue. When someone claims divine action in this world, there is always the problem of showing that the event cannot be simply coincidence, or in the instance of relics or divinely touched objects, not a fraud. There is also the problem of explaining why this divine action happens in one occasion and not another, if one assumes that the deity involved is all-powerful, all-knowing and all-concerned about the happiness and well-being, e.g. “love”, of the human race as many theists, especially Christians, claim. As above, it is much easier to claim a “sign” rather than showing that this god actually does anything. The pastor asked that I not lump his claims of a message from his god in with the claims of “the guys who see Jesus in toast” but there is little reason not to do so. He sees agency in the pages on possible wreckage; “the guys” see agency in an image of a god, or his mom, on food, trees, stains, rust, reflections, etc. Pastor Ashcraft has said that this is how the world is “God created man and everything was good. Man rejected God’s plan, and evil entered his heart. Man does evil things against man. God has a better plan.” This doesn’t fit what the bible says, nor what we observe. This “better plan” of the Christian god is undefined as are the terms “good” and in our discussion, “love”. It does not explain why this god sits on its thumb and does nothing, but, according to many Christians, make “signs” that may be improbable but no more than any other curious coincidence. It doesn’t appear to be that complicated at all. I think one can be pretty sure that there were a lot of prayers going up on 9/11 (and from many different theists). If this god will get you cash in your pocket, then why can’t it save someone who is praying desperately to live as the towers collapse around them, as the fires race down the halls of the Pentagon, as the plane plummets to a field in Pennsylvania? If you wish to read what our discussion was, you can find it at the link in the third sentence. The discussion stays fairly on topic, though it does widen into the usual baseless claims about morality that Christians make about atheism and the common ignorance of Christians about evolutionary theory, etc. Those things are always disappointing, especially when counter information is simply ignored. Many questions are also ignored but that is expected. Pastor Mike also made a post claiming that Peter Hitchens (Christopher Hitchens’ conservative Christian brother) explains his position from another perspective. You may read it here. It is a reminiscence of how he fought with his brother, and ends with Pascal’s wager for no discernible reason. How it was supposed to answer my question about why the Christian god can do arts and crafts rather than actually helping people is beyond me. If you would care to read it, the discussion as of this date is in the pdf below as well as at the blog link above.